Do you need a fun way to aurally practice and assess the melodic pitch do? 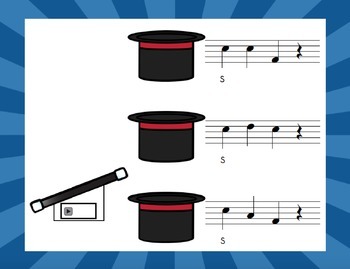 In "Magical Melody," students must find the rabbit in the hat by listening to and identifying a four-beat melodic pattern. 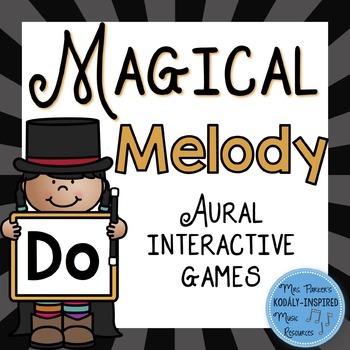 The melodic pitches used in this game are: do mi so la. No clef is used in the staff. The rhythms used are: Ta (quarter note), Ti-Ti (eighth notes), and quarter rest. Your feedback is important! Please rate this product.Like me on Facebook for updates and Flash Freebies!